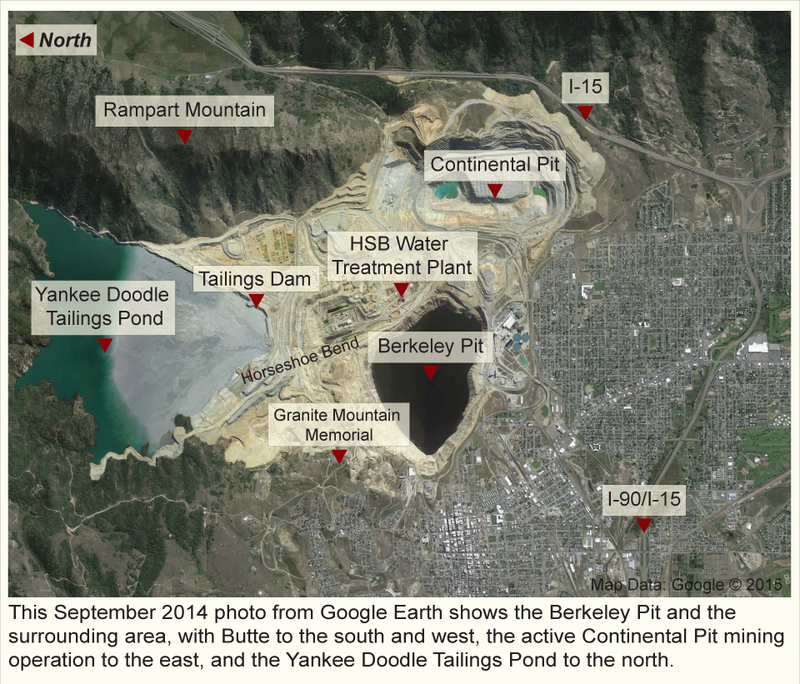 Since the Berkeley Pit was designated as a Superfund site in the 1980s, things have gone largely as expected. In one instance the site remedy has proceeded at a faster pace than mandated in the 1994 Record of Decision (or ROD, available in its entirety here). The ROD called for the water treatment plant for the Pit to be designed 8 years before the water level at any monitoring compliance point reached the Critical Level of 5,410 feet above sea level, and completed 4 years prior. In fact, the Horseshoe Bend Water Treatment Plant was completed in 2003, 20 years before water is expected to reach the Critical Level. Water level modeling has also been accurate. The Pit water level has risen more slowly than originally predicted due to several factors, most notably the capture and treatment of contaminated surface water flowing in from Horseshoe Bend. This water is treated and reused in Montana Resources mining operations, with no water discharged offsite. The 1994 ROD included projections that estimated that the water level in the Pit would be at 5,204 feet above sea level in 2000; 5,353 feet in 2010; and 5,417 feet in 2015. With a water level of just 5,326.01 feet recorded on August 5, 2015, the Pit water level is nearly 100 feet below early predictions. The 1994 model also anticipated a rate of fill of about 5-6 million gallons per day. With surface inflow captured, treated, and reused, the average rate has been much lower, about 2.6 million gallons per day. The model currently used by the Bureau of Mines and Geology uses monitoring data to project the filling rate, and over the past 5 years the model’s projections have varied by only a few months. Some surprises have occurred over the years. For example, the 1994 ROD projected that the water level in the Anselmo mineshaft would be the highest in the Pit system. That was the case until the past several years, when the water level in the Pilot Butte shaft overtook it. 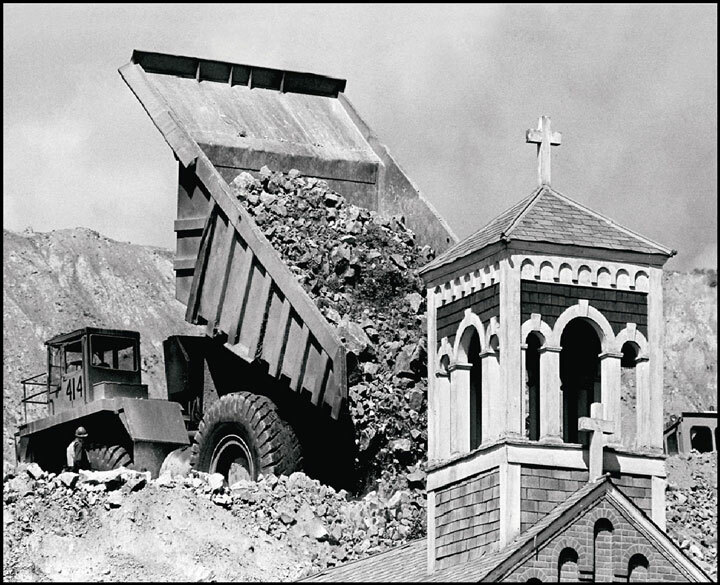 Since then the highest water level is typically recorded at the Pilot Butte mine, which was at 5,351.11 as of August 5, 2015. At 58.89 feet below the Critical Level, it is likely that the Pilot Butte water will hit the critical point first, triggering full implementation of the Horseshoe Bend Water Treatment Plant. This is currently projected to happen in July 2023, a few months later than projected in the last edition of Pit Watch in 2013.